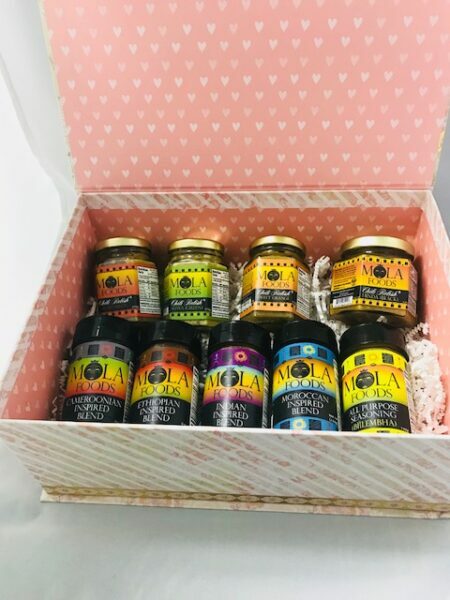 You will get 3 Chili Relishes and 2 Mola seasonings. I LOVE these spices and relishes, especially when barbecuing. Really gets the taste buds dancing! Luckily, my wife loves them too! This seasoning is now my go to seasoning. 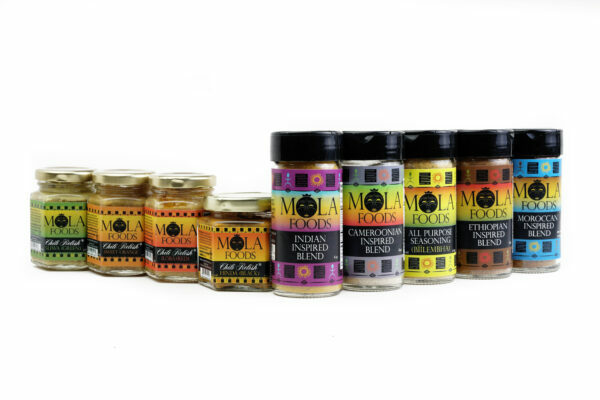 I love the heat and the Mola All Purpose seasoning is just wow. Very Good! Great condiments. I love exotic food and this is by far my favorite this year. OMG! These condiments are the bomb. I put them on my barbecue yesterday and wow! just Wow! I’m in love with this Mola all purpose seasoning. I haven’t tried the Chili relishes I’m a chicken Lol but my Boyfriend loved the heat and the aroma is very distinct and it smells so good.